Thanks for testing out the most recent balance changes, and for your continued helpful feedback. After reading over the discussions, we’d like to make a few more changes to the testing matchmaking queue. Attack-moving Cyclones will stop at 7 range instead of 5 range when Locked on to an enemy target. Previously, when an attack-moving Cyclone would Lock On to an enemy target, the Cyclone would continue to move toward its target until it was 5 range away. This was due to its weapon having 5 range but the Lock On ability having 7 range. 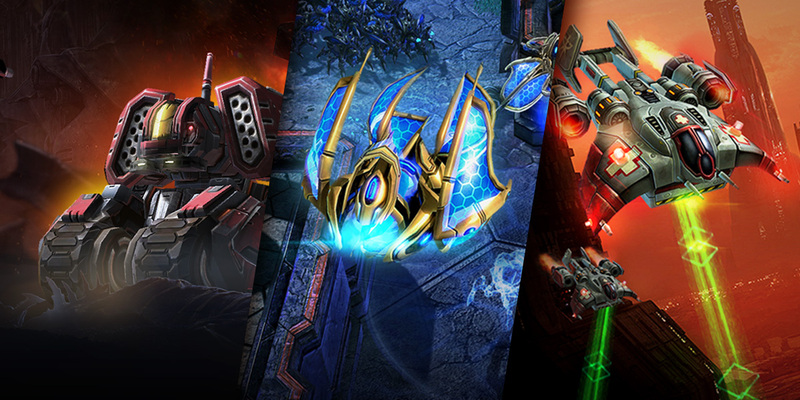 As a result, Cyclones would put themselves in danger against 6-range opponents such as Immortals and Ravagers. After this change, the Cyclone will now behave like other units—stopping at maximum effective range when given an attack-move order. "High Capacity Fuel Tanks" upgrade name changed to "Rapid Reignition System". A Medivac without any upgrades can boost for 5.71, seconds with 8.57 seconds of downtime (40% uptime). A Medivac with the old “High Capacity Fuel Tanks” upgrade could boost for 8.57 seconds with 5.71 seconds of downtime (60% uptime). A Medivac with the new “Rapid Reignition System” upgrade will be able to boost for 5.71 seconds with 3.57 seconds of downtime (62% uptime). We believe this new upgrade will be more attractive and promote multi-tasking-based drop play more than the previous one did. Pick-up range reverted from 5 to 6. After reviewing feedback, we have decided to revert the pick-up range from 5 to 6 as we’d like for all races to feel like they have strong options out of the gate with the new patch. We like the addition of the new countdown timer because it can provide players with a smoother transition from the loading screen to the start of a match. However, we’ve discovered some issues with the feature and would like to resolve them before pushing this countdown timer live. We’ll be removing the countdown timer from the testing matchmaking queue for now, but we plan to reintroduce it at a later date. During intense Bunker rushes, the ability for the Bunkers to be completed can often mean the difference between success and failure. The defender is highly incentivized to destroy the SCVs building the Bunkers, but it’s currently difficult to do so, partially because buildings under construction can block the ability to click on the SCV building it. We don’t believe this interaction should be a core skill-testing component of StarCraft, so we’ll be making a change that allows SCVs to be more easily clicked while constructing structures. At the same time, we’re slightly concerned about the effect of this change on early-game SCV harass (such as when a Terran player is building a Command Center at their natural expansion), so we’ll be keeping a close eye on this change. This change prevents players from accidently cancelling an upgrade while attempting to lift buildings. Lastly, in order to prepare for the upcoming changes that will go live with the next ladder season, we will be turning off the balance testing matchmaking queue on October 30th. During this downtime, we will start implementing art changes and resolving any issues or bugs that may come up. Even though the balance testing matchmaking queue will be off, the balance test mod extension mod will still be available for custom games. 250mm Punisher Cannons damage changed from 35 (+15 vs Armored) to 40 (+10 vs Massive). 250mm Punisher Cannons weapon speed reduced from 2.14 to 1.79.
" Rapid Reignition System" upgrade will no longer increase duration by 50%. Instead, it will decrease cooldown duration from 14 seconds to 9 seconds. Transfuse restores 75 health and an additional 50 health over 7.14 seconds, down from 125 health instantly. Burrow and Unburrow have been separated into two distinct keys. The original balance post can be found here.